For my inaugural post I wanted something to commemorate my dedication to GSW forward Ike Diogu, a man with a boy’s face and a god’s skill on the court. But while searching I found something even more magical and awesome. 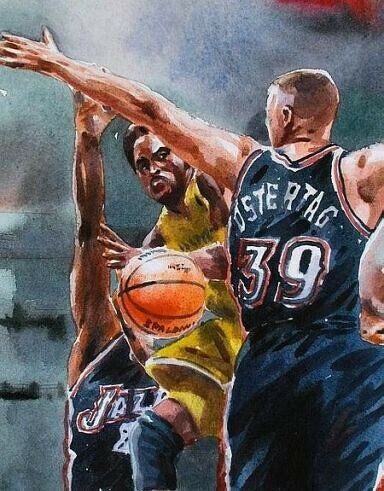 Watercolor paintings of Utah Jazz center Greg Ostertag. Holy cow they’re great. 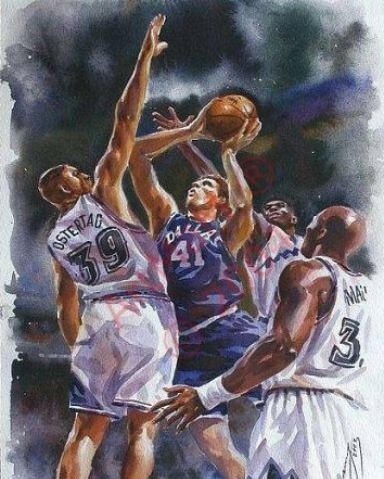 if you didn’t already read my two ostertag posts, you should know that i am in love with ostertag. this is the happiest day of my adult life. That link has tons of way funny pics. I like the Gay ones.